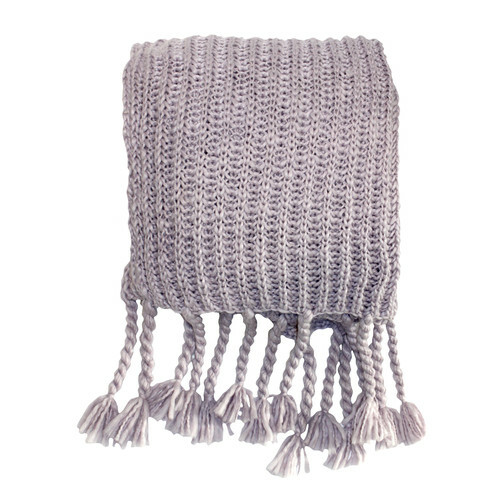 This chunky knit throw with twisted fringing detail comes in a new soft Heather shade and looks beautiful draped across a sofa or at the end of a bed. Bella Casa - The complete home furnishings solution. Our collections and products span from modern to traditional and are all exclusive creations from our in house design studio. Bella Casa offers furniture, mirrors, lighting, textiles and decor to make your house truly feel like a home. When you buy a Salisbury Chunky Heather Throw online from Temple & Webster in Australia, we make it as easy as possible for you to find out when your product will be delivered to your home in Melbourne, Sydney or any major city. You can check on a delivery estimate for the Bella Casa Part #: W5055299490785 here. If you have any questions about your purchase or any other Blankets & Throws product for sale our customer service representatives are available to help.Whether you just want to buy a Salisbury Chunky Heather Throw or shop for your entire home, Temple & Webster has a zillion things home.